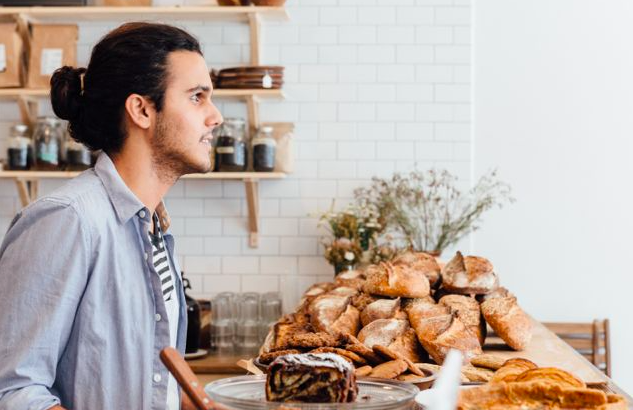 Whether you’re a tourist, resident, or over-all food connoisseur, there are many places in Miami that you need to try. Below is a compiled list of The Naughty Fork’s favorite Miami restaurants (and the ones you’ll be back to over and over again). Pawnbroker is one of the best rooftop bars in Miami located on top of the Langford hotel in Downtown. 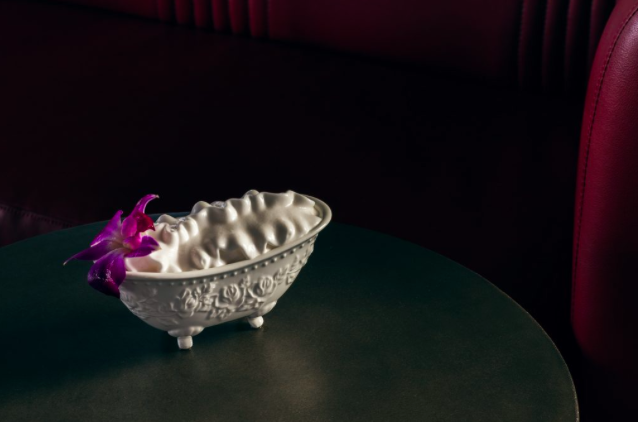 With great drinks, happy hour Monday-Friday 5-7pm, and even a Sunday brunch, Pawnbroker is a must-visit in Miami. Food includes crispy short rib mac n cheese, wild mushroom quesadilla, and for brunch, PB french toast sticks and Eggs Benedict empanadas. Do I have to go on? Opened by Jose Mendin, the brain behind the Pubbelly restaurants (which are also on this list because, duh), you know you’re in for a treat. All you can drink frosé and mimosas for $25pp and $14 bloody mary cart is also a brunch favorite. Located on the 3rd floor of the new Brickell City Centre lies one of the coolest new additions to the must-try list. 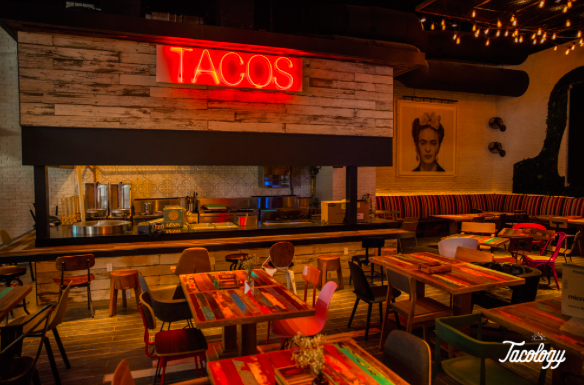 Tacology showcases some of the best tacos in Miami while adding a whole new flare to the restaurant scene. The ambiance is high energy and gives you that “Do I really have to go back to work?” mentality. From the giant screen playing your favorite music videos to the colorful (and strong) drinks, you will NOT be disappointed. 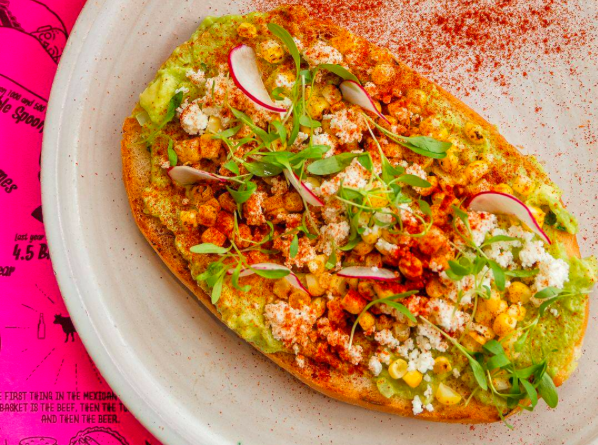 Order the lobster tacos, elote, and the avocado toast although you can’t go wrong with anything else either. Gigi is known as one of the best late night spots for food, drinks, and people watching. The menu changes every so often making every experience a new one (and a better one). 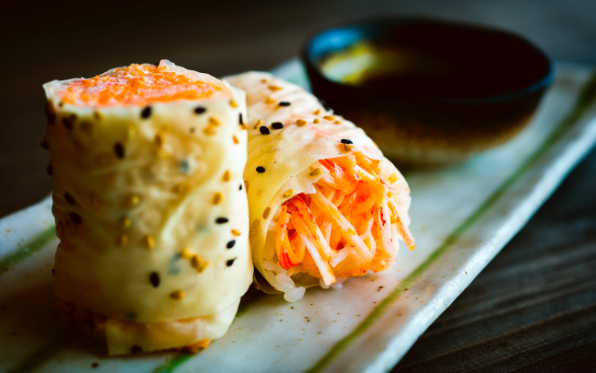 Offering asian comfort food, enjoy light bites before going out to a lounge or club. Open until 5am Thursday-Saturday, Gigi gives people an option of late night food that ISNT street pizza. They also offer brunch Saturday and Sunday. 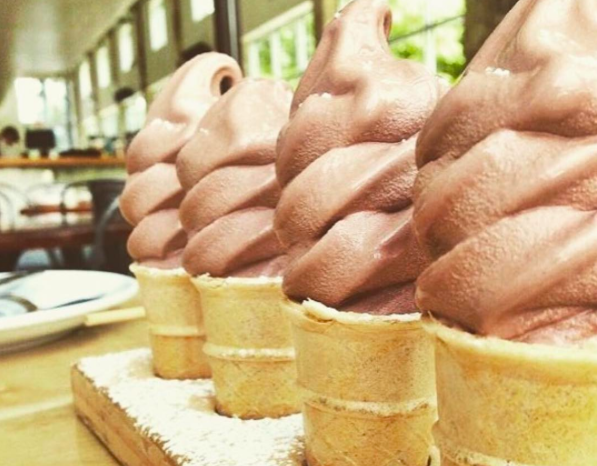 Order the cornbread, any and all of the buns, and although dessert changes often, the ice cream cones are always a winner. If you’re into great deals, an AWESOME atmosphere, and good food, Sweet Liberty is your place. Happy hour 4-7pm every day includes $0.75 oysters, $5 rose, Moscow mules, and Old Fashioneds! Menu items include the cauliflower nachos (trust me, get them), Buns of Liberty burger, and the smoked duck benny (for brunch). If you’re looking for a spot away from all the pricey places in Miami beach, here it is. Sugarcane has become a great “after work” venue for the employees in need of a strong drink and a bite to eat. 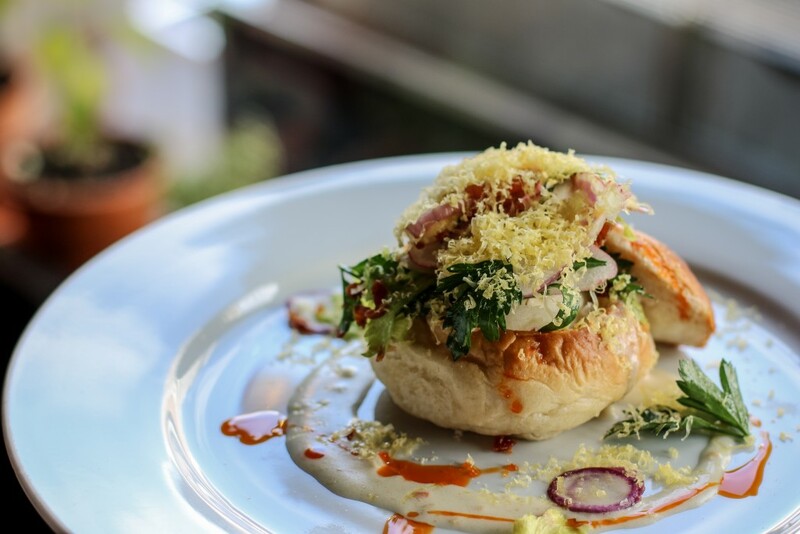 Providing dishes from 3 different kitchens, Sugarcane is known for its delicious tapas-style plates. Favorites include the bacon-wrapped dates, goat cheese croquettes, and the crispy rice specialty roll. Brunch is hosted every Saturday and Sunday including dishes like truffled toad in the hole, “fat boy” hash, and creamy carbonara. Happy hour is available M-F 4-7pm with pitchers staring at $25 and many food items are half off. The Local is a staple amongst the Coral Gables crowd if not for its large selection of craft beers then for its unique take on gastropub food. 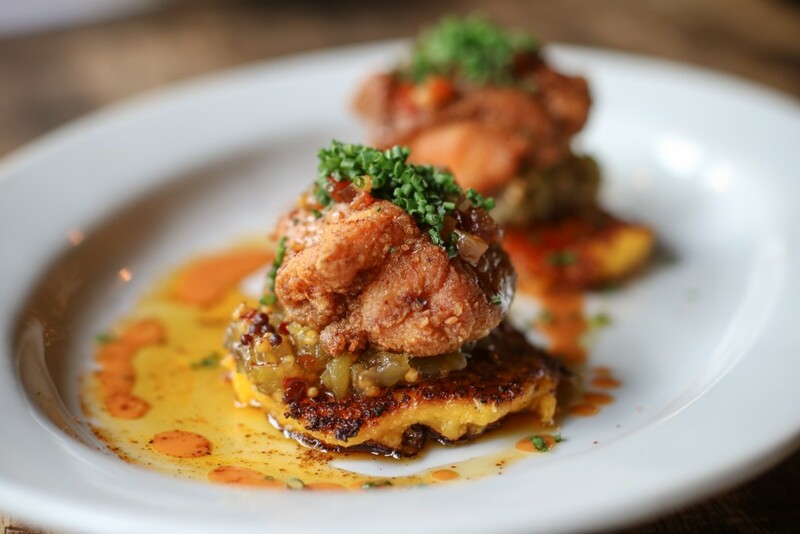 Serving lunch and dinner every day of the week with dishes like hot fried chicken oysters and croque madame, you can’t go wrong with a trip to this spot. Brunch is served Saturday and Sunday until “sorry, were closed” so you’ll never know how long you might stay. Beautifully handcrafted cocktails are served everyday. 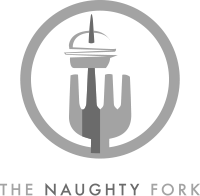 I only have two words for you. Happy. Hour. 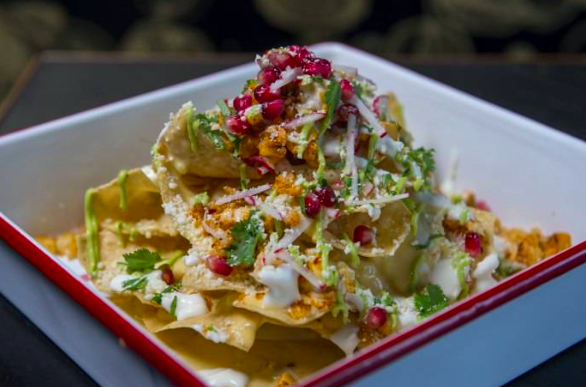 Tap 42 is one of the busiest happy hours in Miami right now, and for goof reason. From 4-7pm Monday-Friday, people can enjoy half off all beer, wine, and mixed well-drinks. If you can’t make it to happy hour, don’t worry, the brunch is just as insane. 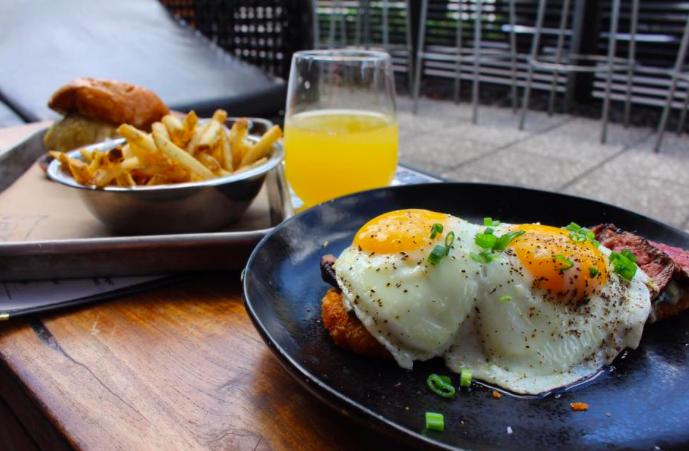 Saturday and Sunday from 11am-3pm you can enjoy their bottomless brunch menu. 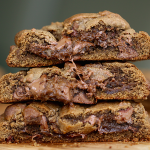 Enjoy dishes like the hangover cure part 2 and the chocolate banana french toast. Wednesday night is ladies night from 7-9PM where women can drink FREE off of a select menu of drinks. There are very few places in Miami that are known equally for their awesome food and great night life and Bodega is at the top of the list. Popular amongst the night owls, Bodega has become one of the top spots to spend a night out. Regardless of that fact, it is also great for its happy hour and tacos. Happy hour is from 6-8pm everyday with $2 tacos, $5 tequila shots, and $6 specialty cocktails. What’s better than that? Great tacos include the Al Pastor, Barbacoa, and Texas BBQ carnitas. If you’re up for dessert, order the Oreo churros. 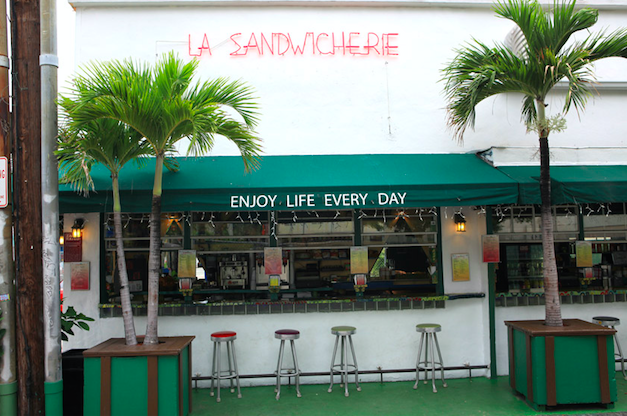 When we speak about La Sandwicherie, we are referring to the OG one on South Beach. The little spot on 14th street has been there since1988 and is still packed every day of the week. After enjoying a long day at the beach, there is nothing better than stopping by for one of their signature sandwiches. This is the point where we discuss the most important aspect of the restaurant: the infamous vinaigrette. Every local Miamian has about 10 of these sauces stocked in their fridge right now in case of a hurricane or other natural disaster. We’re not sure how they make it, but its probably the most addicting sauce on top of the freshest sandwich you’ll ever have. They’re open until 5am so finish your night out on South Beach with one of these bad boys. You won’t regret it. 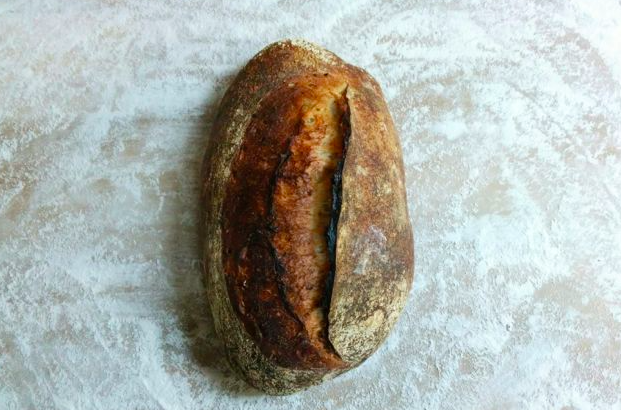 If you’re looking for the freshest baked items in Miami, here is your spot. 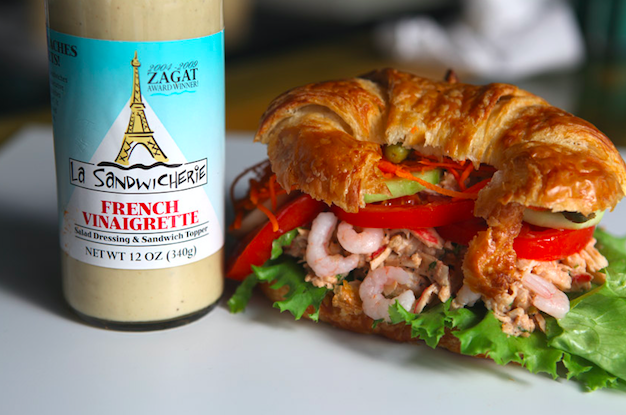 Most local restaurants are proud to announce that they serve their dishes using Zak the Baker items. 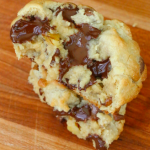 Offering flour-less pastry items for gluten free customers and all-kosher items as well, the bakery caters to everyone. 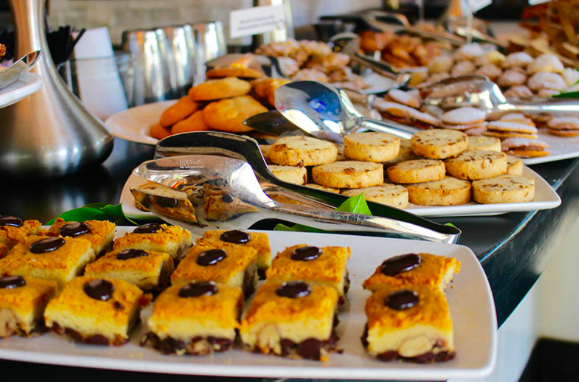 Located in the heart of Wynwood, it’s a perfect place to stop in for a pastry and a cup of coffee. 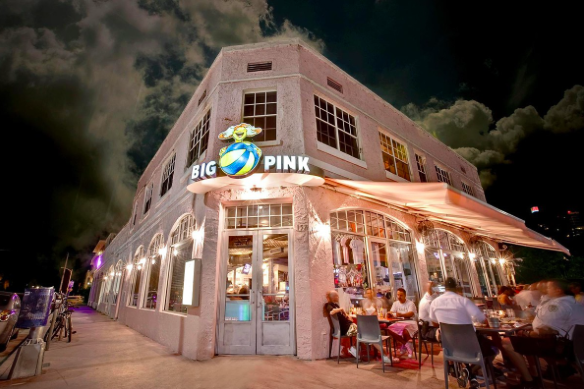 Big Pink has been kickin’ it since 1996, and has become a staple in Miami. Sitting at the corner 1st and Collins, people know it as the late-night, post-club spot for some great diner grub. 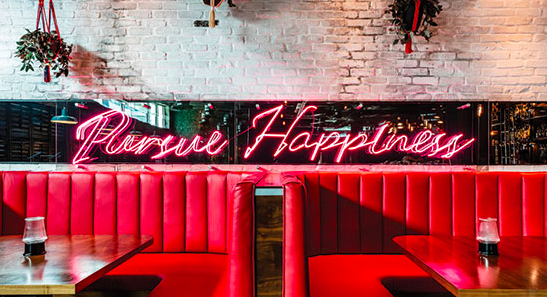 Serving over 200 dishes in a retro-style, ALL PINK, diner setting, the place has made its way into the hearts of locals and tourists alike. Friday and Saturday Big Pink is open until 5am, catering to all you late-night folk. 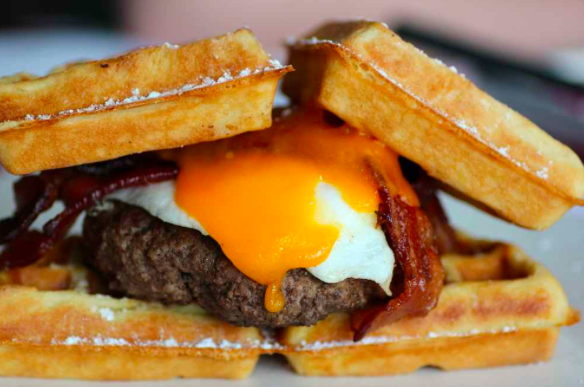 Must order menu items include the giant chocolate chip cookie, fried chicken eggs Benedict on waffles (like, wtf?! ), root beer floats, and any of the specialty burgers. 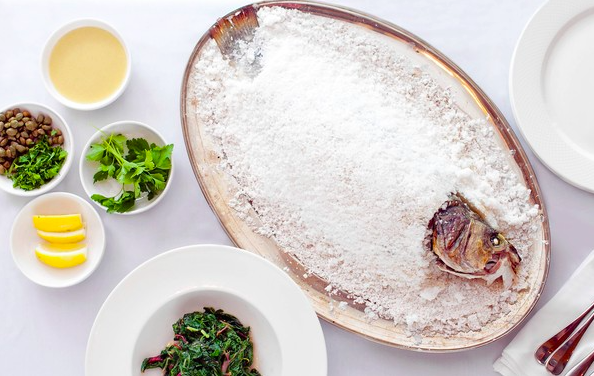 It might not be the BEST restaurant on south beach- their amazing sister restaurants are further down on this list- but it is a DEFINITE must-try in Miami. Let us first start off by saying that this place is pretty far (homestead area), but worth the drive! 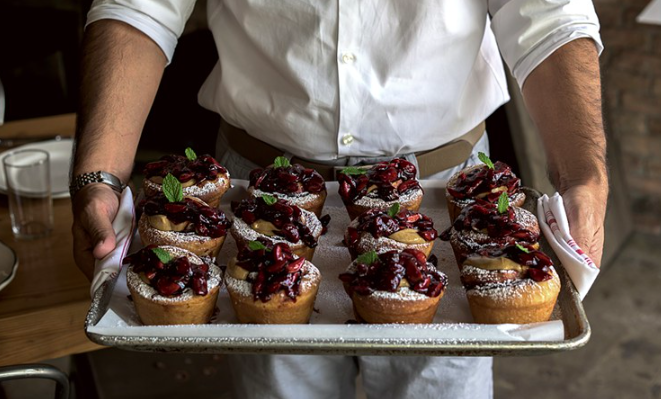 This farm has become a staple in Miami because of one thing: their sticky buns. Expect a line around the corner when you arrive, but it moves quickly. 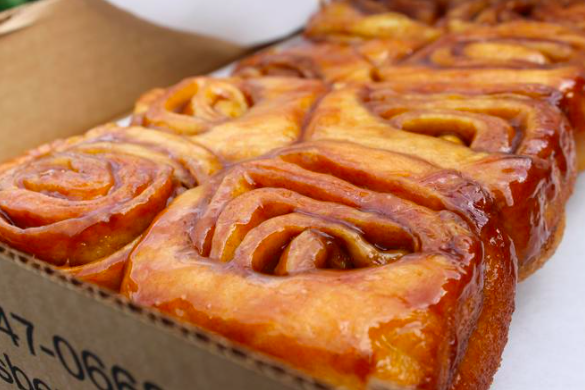 Their sticky buns have grown extremely popular amongst Miami residents and thus, have become a staple. Started in 1956 as a side-of-the-road strawberry farm (you can still pick delicious strawberries), the farm grew to become a bakery and produce shop. 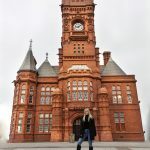 If you’re a tourist and have the time, or a local who has not been, you need to make your way down there. Its for your own good. This Colombian joint situated on 8th street in Brickell is the perfect late-night spot for people partying in the Brickell area, being that it is open until 6am. 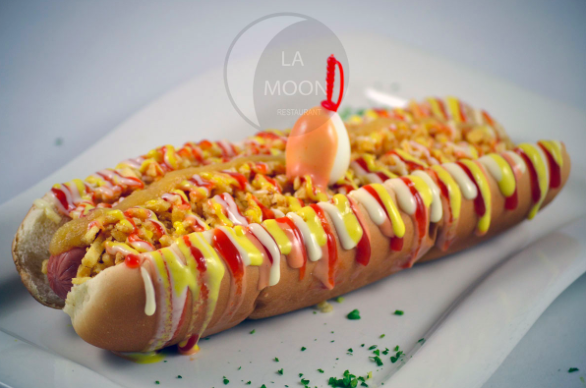 The spot offers low-price, over-the-top burgers, hot dogs, and Arepas served with a Colombian flare. Dishes topped with things like quail eggs, 5 different sauces, fried pork rinds, and sausage, you’re sure to get your bellies full. 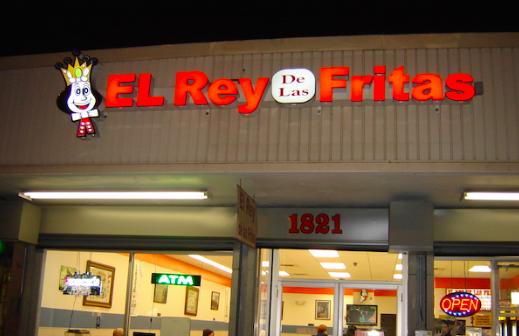 Started in 1976, El Rey de las Fritas has become the home to the infamous “frita”. For those who do not know, the frita is a Cuban burger made with ground beef, onions, seasonings, and the best part, loaded with potato sticks. Although you can add things like a fried egg, bacon, etc., I recommend sticking with the original. If you’re looking for some great, authentic Cuban food, head to South Miami and get you some at El Rey de las Fritas. 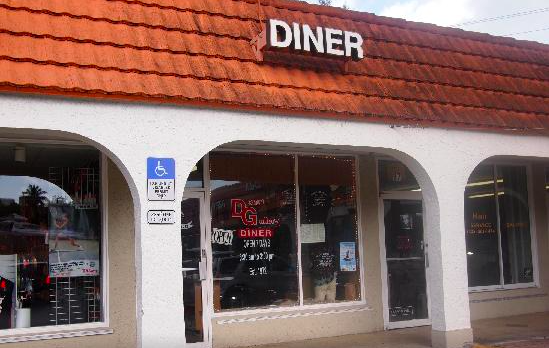 Mister 01, also known as “that famous hidden place”, has quickly grown as one of the best pizza joints in Miami. Located on Miami beach, Mister 01 serves up authentic Italian pizzas, calzones, and Antipasti. 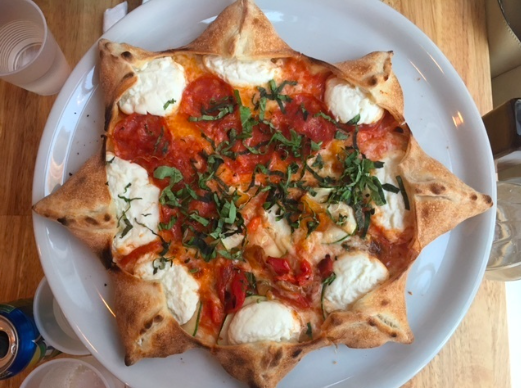 They’re most known for their star-shaped pizza like the Star Luca: filled with ricotta cheese, spicy salami, mozzarella, and San Marzano sauce. They also have vegan and vegetarian options. If you’re not full after the meal, order the Nutella pizza. You wont regret it. 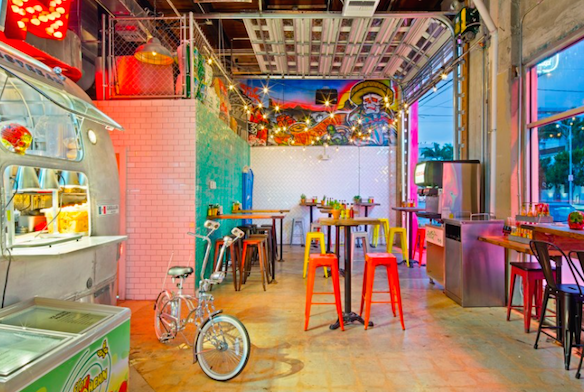 Everyone loves a good burger place, but even more so when it’s got that Miami touch. Pincho factory was started with one famous burger recipe and one famous pincho recipe. From there, Pincho Factory was born. 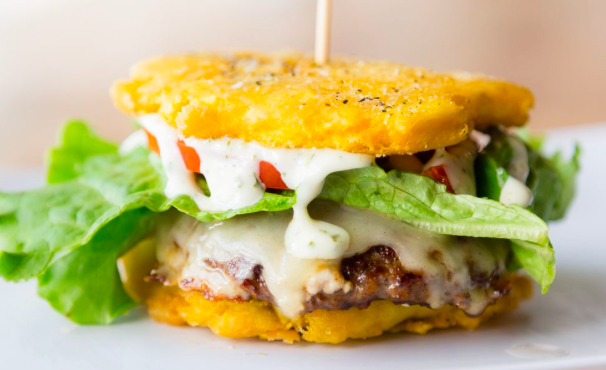 Serving up favorites like the Toston burger which is a burger sandwiched between two fried plantains and the Fritanga burger topped with a slab of fried cheese, you really can’t go wrong. Get a side of the bacon cheddar ranch fries and you’re all set. 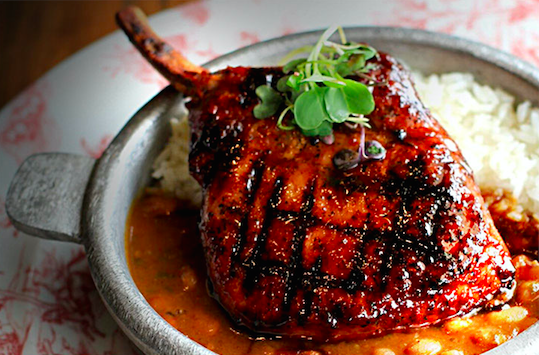 Although it’s located in the heart of South Beach, Taquiza has become a favorite amongst the locals as well. The little spot is home to some of the best tacos in Miami. 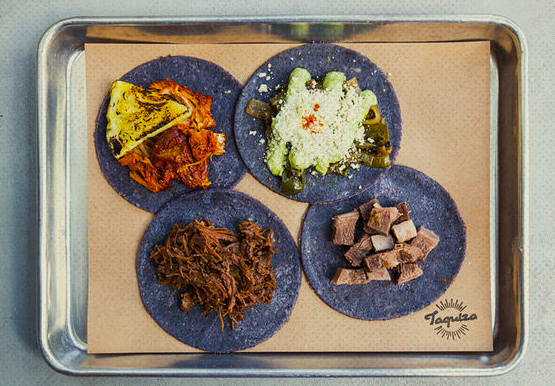 Using homemade tortillas (famously purple because of the blue masa), fresh ingredients, and local beers, Taquiza is a great authentic place to grab some street fare. Open until 2am on weekends, it’s a great stop after a night out. Must-orders include the Carnitas, Al Pastor, and if you’re feeling adventurous, the Chapulines (grasshoppers). 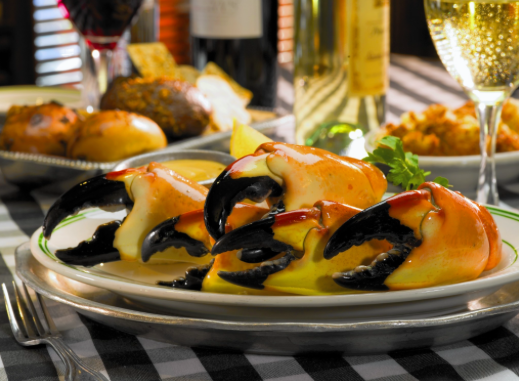 If you ask anyone in Miami where to get good stone crabs, they would not hesitate in saying Joes Stone Crab. A staple since the dawn of time, this Miami Beach seafood restaurant has given its customers the best stone crabs in town. You’ll never see the place empty, despite how large it is, so make reservations. Must-orders include, well, the stone crabs (if they’re in season), the grilled tomatoes, fried chicken, Joes Famous Cole Slaw, and last but certainly not least, the key lime pie. The bread is pretty damn good too, but don’t fill up on it. Prime 112 has been a celebrity hotspot since it was opened in 2004. Bringing a whole new meaning to American fare, it has an ongoing rush of people out of the door just waiting to finally try what all the hype is about. Well, it lives up to it which is why its success has continued to flourish. 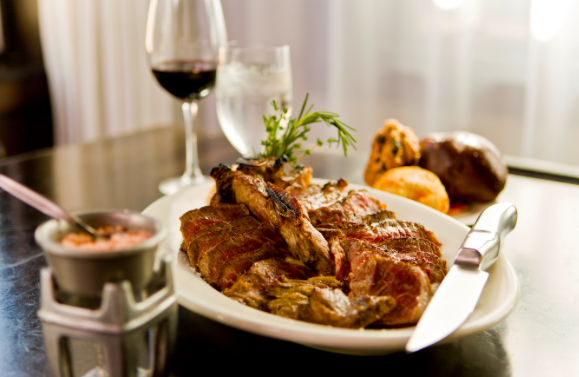 Dishes like truffle provolone cheese fondue, Kobe beef sliders, creamed corn, and the tomahawk steak (can’t go to a steak house without a nice piece of steak) are all must-try’s. Please do yourself a favor and save room for dessert. Although everything is amazing, the fried red velvet cupcakes and the chocolate chip cookies are a MUST. Open for lunch a dinner 7 days a week. A sister to Big Pink and Prime 112 (also Prime Italian), is Prime Fish. Although it might not be chosen for dinner over its counterparts, it is definitely top of the list for brunch. Prime Fish brunch is $50pp including all-you-can-eat buffet, one dish from the breakfast entrée menu, and bottomless mimosas or bloody’s. The brunch is from 11-4pm on Saturday and Sunday which is one of the longest, if not the longest, brunch in Miami. This gives you a chance to eat, drink, rest and do it all over again. I would go straight for the fried chicken and waffles or maybe the dessert table in general. Makoto lies in the heart of the most expensive shopping mall in Miami: Bal Harbour. It is definitely not a cheap lunch or dinner, but it is some of the best Japanese in the world. Take a break from shopping and enjoy a delicious lunch on their patio. 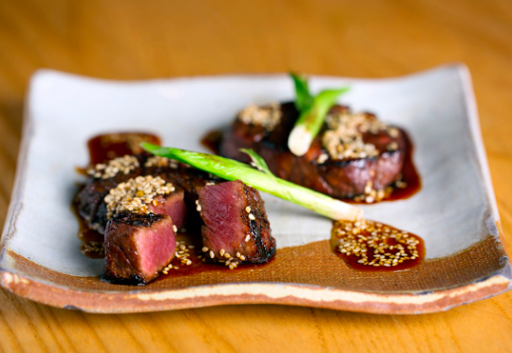 Makoto has become a place to spot celebrities as it has become a Kardashian favorite in Miami. Must orders include the spicy tuna crispy rice, corn robata, Japanese wagyu, and the king salmon. 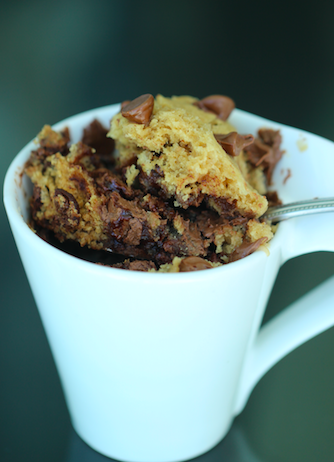 Feast on their lava cake for dessert and you’ll be a happy camper. Mandolin, a personal favorite, lies in the heart of the Design District. They do have another location inside SOHO Hotel on South Beach, but the original one is the most popular. 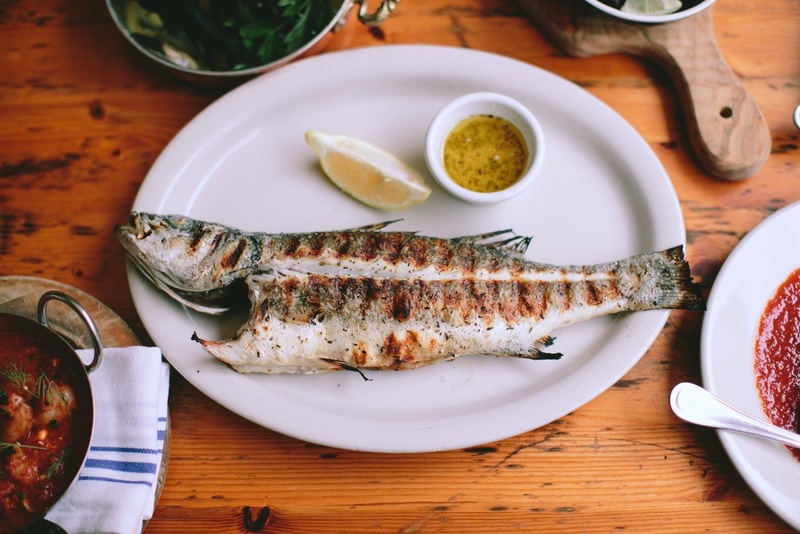 Serving some of the freshest Greek food in Miami, Mandolin is a great spot for a first date or a celebratory meal. Their patio is like a walking into a restaurant on the coast of Mykonos as the blue and white décor has become a favorite amongst locals. 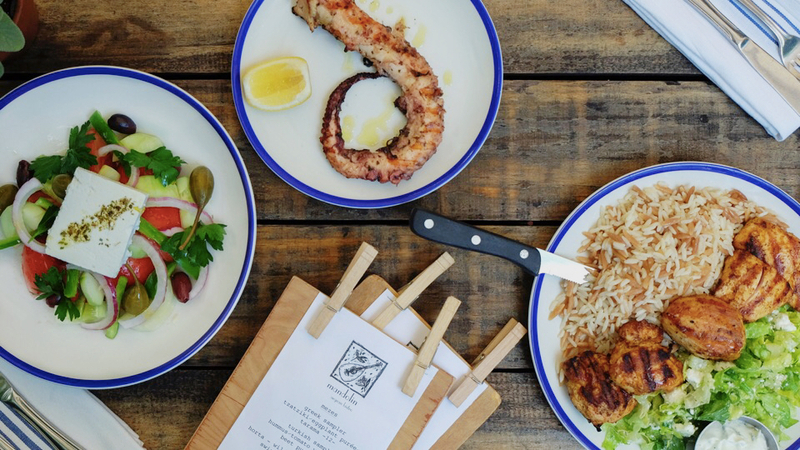 Although everything on the menu is worth ordering, favorites include grilled octopus, the Greek salad, stuffed zucchini appetizer, and the manti dumplings. This would not be a very good list without adding a Miami favorite, Pubbelly sushi. If you can’t make it to this Miami Beach spot, they have another location that has just opened in Brickell City Centre so you’re in luck. Although everything on the menu is delicious, they’re famous for their butter crab roll. 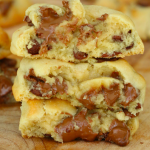 I recommend ordering 10 of these because you will not be satisfied with just one. 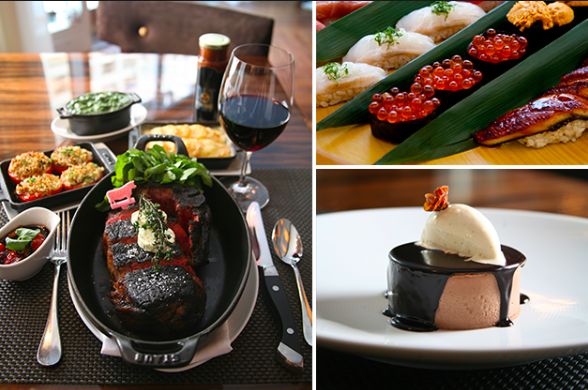 Other great dishes include the shishito peppers, spicy tuna crispy rice, wagyu tartare roll, and the miso black cod. Although it only has 2 price signs, the portions are small and the bill quickly adds up. However, I can say it’s worth every penny. Pubbelly Sushi is open everyday for lunch and dinner. 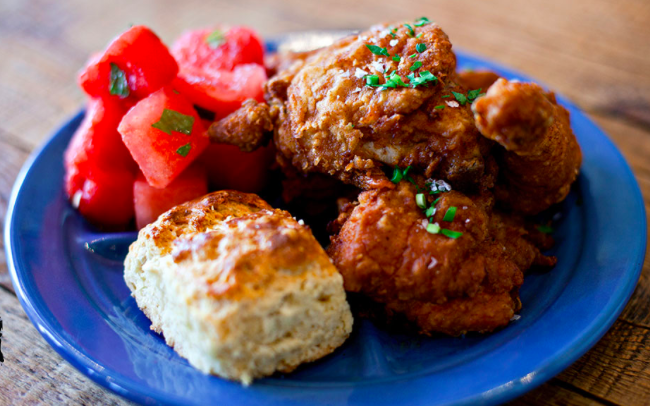 If you’re craving Southern comfort food, Yardbird is the place to go. It fills up pretty quickly so make sure to call for a reservation. 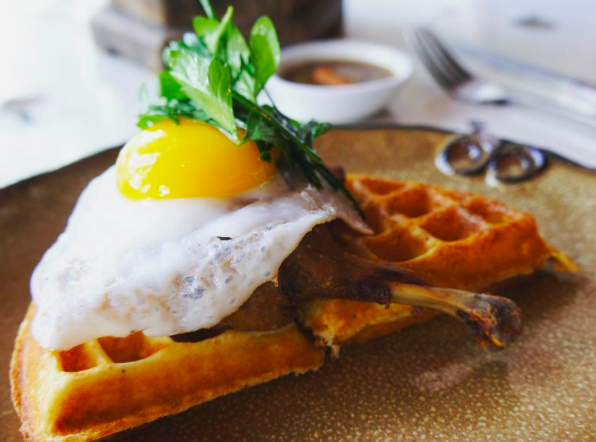 Open for lunch, dinner, and brunch, Yardbird has become a Miami Beach staple. Serving dishes like fried chicken and biscuits, slab bacon, fried green tomatoes, and macaroni and cheese, how can you go wrong? Let’s just say, you won’t leave hungry. Everything is delicious and the service is great. If you live down south, here is one of the best restaurants near you. Finka has become a local favorite. It’s packed almost every day and there’s no surprise why- the food is outstanding. Serving Korean, Peruvian, and Cuban dishes (talk about an awesome mix), the kitchen brings together a great mix of flavors. Pairing the dishes with a craft cocktail and/or beer is just icing on the cake. Must orders include the croquetas de jamon (can’t visit the granddaughter of Islas Canarias’s restaurant and not order some of these), Arroz con Pollo fritters, and the Korean Fried Chicken. I have been to some of these restaurants and I swear they are really good. I love to vsit again & again.